Advertisers, take note. OTT/CTV ads work, and there’s never been a better time to take advantage of them. However, there’s one essential ingredient without which OTT/CTV advertising cannot be truly effective: audience targeting. It’s an exciting time to be in the advertising industry. 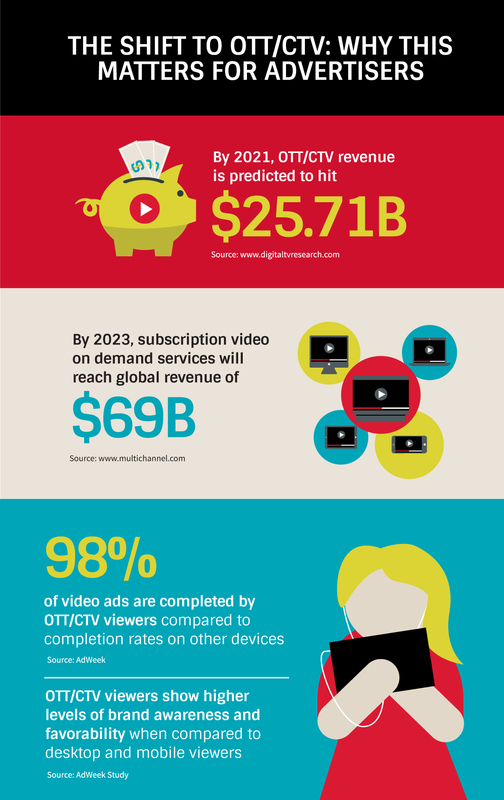 The convergence of a culture where consumers are accessing their screens 24/7 with OTT/CTV technology has created a tremendous opportunity in the form of video advertising. Think about how much streamed content you watched last week on your smartphone, tablet, laptop, and/or smart TV. If the number is higher than you’d like to admit, don’t worry—us too. The good news for advertisers is, the same holds true for billions of other consumers across the globe. Take a look at these stats to get a sense of the size, scope, and potential of this opportunity. TV ads have long been a mainstay of the advertising industry for one simple reason: they work. 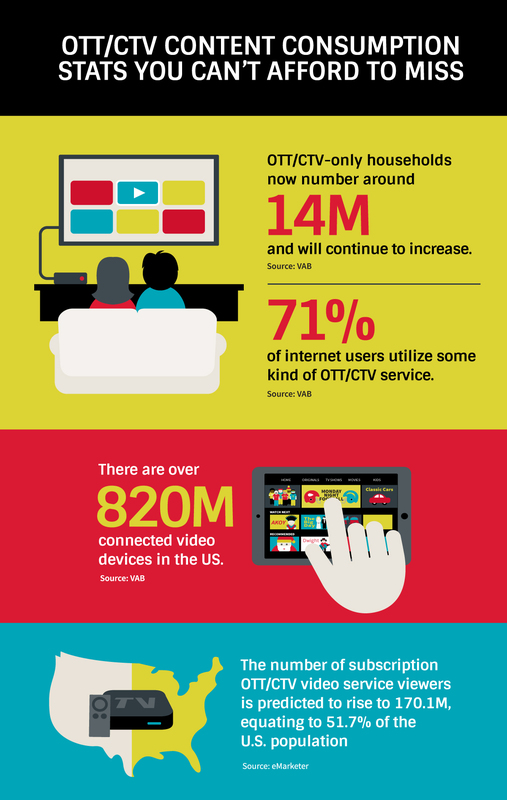 And with the advent of programmatic OTT/CTV advertising, granular audience targeting for TV spots is catching up. Thanks to Simpli.fi, advertisers can now combine the inherent effectiveness of TV ads with the advanced audience targeting capabilities that come with digital advertising. However, without the right targeting solution, these ads will not be seen by the right consumers, and the added value of OTT/CTV advertising is negated. This is why Simpli.fi developed our OTT/CTV solution with three distinct targeting methods in mind—all to enable advertisers to harness the power of OTT/CTV ads through precise, granular targeting at scale. Let’s dive in. To reach consumers across all of their screens (both big and small), it is essential that advertisers be able to target at the household-level. This is where Simpli.fi’s Addressable OTT/CTV audience targeting comes in, and when it comes to addressable programmatic we are second to none. Simpli.fi’s Addressable audience targeting is the most precise, granular, and scalable way to serve video creative to individual households via OTT/CTV devices. We use GPS and plat line data to target physical addresses so that only the right households and devices get targeted. This means significantly better ROI and less wasted impressions. Addressable also gives advertisers a way to leverage CRM and other offline data to create custom audiences for OTT/CTV targeting. And what’s more, free list onboarding, an approximately 90% match rate, and the capacity to target one million addresses per campaign with unlimited campaigns translates to true scalability. And for advertisers with no access to first party data, Simpli.fi can curate lists based on over 1,500 variables. With Behavioral, Simpli.fi gives advertisers the ability to bring the precision of digital targeting to OTT/CTV by targeting users based on keywords, context, and other online behaviors. This is particularly exciting because, due to the prevalence of “second-screening”, Behavioral targeting can bridge the gap between OTT/CTV and other online behaviors using cross-device matching. Demographic targeting continues to be an effective way for advertisers to target relevant audiences. Simpli.fi lets advertisers take advantage of numerous combinations of demographic variables to find and target the ideal audience at scale with unmatched precision. With over 1,500 variables to choose from, advertisers can target more than 125 million households. Don’t compromise the effectiveness of your OTT/CTV advertising with inferior audience targeting. Simpli.fi’s three distinct methods of audience targeting give advertisers a multi-pronged approach for effectively delivering impactful video ads to a specific OTT/CTV audience. To learn how you can start utilizing Simpli.fi’s dynamic OTT/CTV audience targeting, reach out to us at hi@simpli.fi.